Your city has been invaded by hordes of hungry zombies, your only goal is to escape and save yourself as fast as you can before being eaten by some horrible undead! Make your way through the walking dead slaughtering them with your Chainsaw and blasting their brains with the Shotgun before it’s too late! 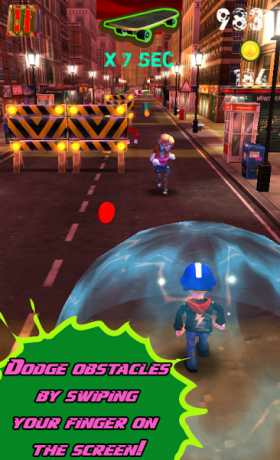 Use the Skateboard and your acrobatic skills to get through obstacles and avoid the runaway cars, and take advantage of the explosive barrels scattered around the environment to create a devastating hellfire! Run like hell in this adrenalinic adventure with horror / splatter atmosphere, the survival of the human race depends only on you! – Dodge obstacles and perform stunts of all types by swiping your finger on the screen! 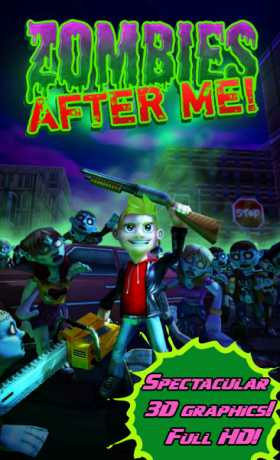 – Use the Chainsaw and the Shotgun to smash the zombies! 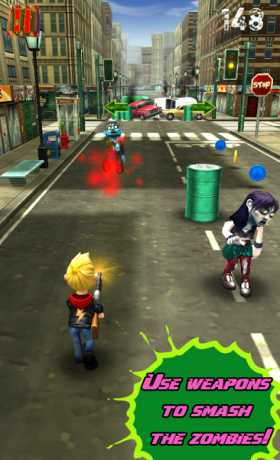 – Use the Skate Mode to run at full speed between the zombies and trample everything! – Supports Google Play Games: compete with players all around the world thanks to leaderboards and achievements!